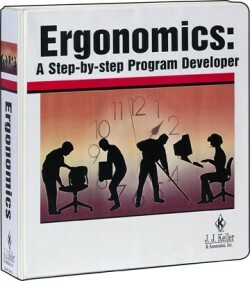 Use this timesaving resource to develop an ergo program specifically for your company. 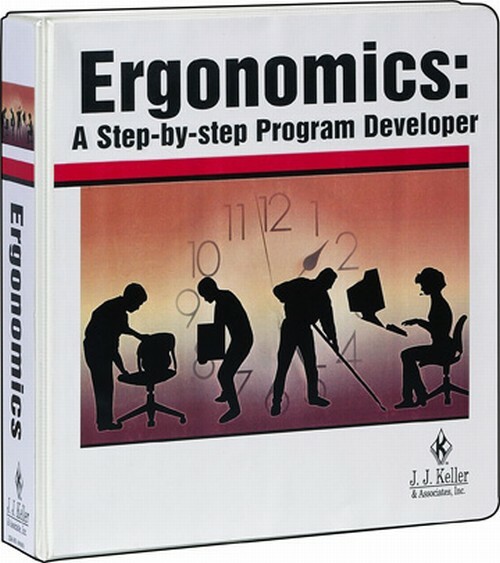 Well-organized and ready to use, J. J. Keller's Ergonomics: A Step-By-Step Program Developer will help you develop a sound ergonomics program that will improve productivity, boost employee morale, and reduce musculoskeletal injuries and their related costs. Covers job assessment, planning, industry applications, program evaluation, forms completion, NIOSH elements of ergonomics programs, and much more. 700 pages. Loose-leaf, 3-ring bound.